Here’s a fact: most of the exercises that are great for improving leg strength don’t maximize hip extension. Why should we care about this? Because a limited hip extension means not being able to fully engage the glutes and utilize their true potential. The glutes, by the way, are among the most powerful muscles in the human body, designed to extend the hip, i.e. 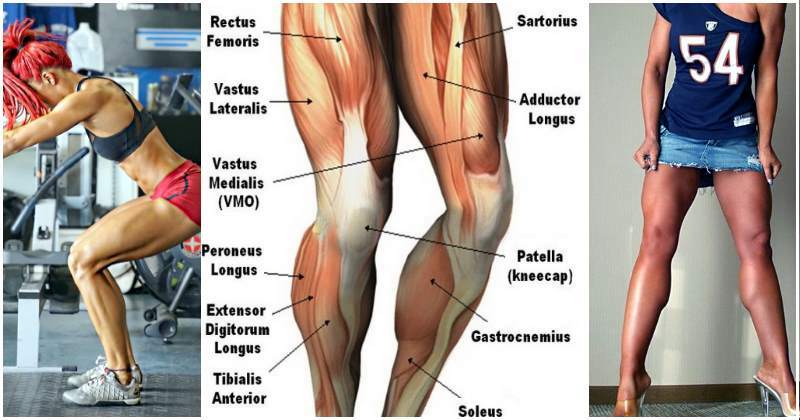 pull the leg behind the body, and are comprised of three muscles: glute minimus, glute medial and glute maximus. So if your hip extension is less than optimal, your lower body strength and power will be largely compromised, meaning that your deadlifts and squats, for example, will be weaker than they have to be. 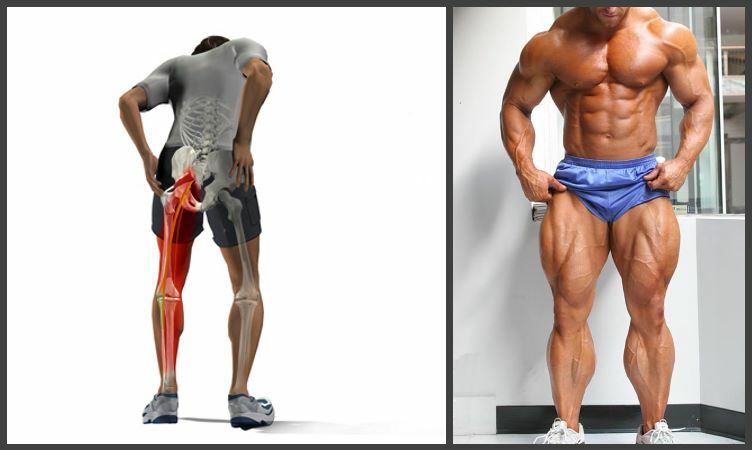 The power of the glutes is crucial for every lower body movement, but due to modern lifestyles, these muscles are inactive for longer periods of time, which eventually reduces their ability to fire adequately so it’s understandable that they require some extra attention in order to get fully activated. Another common reason for inactive glutes is muscle tightness that prevents the fibers from performing adequately, especially in the hip flexors. Besides, doesn’t it kind of hurt to know that your glutes are probably doing only half the work they could be? If you’re ready to uncover your true possibilities, read the rest of this article to learn the best way to train your glutes, optimize hip extension and improve your performance on every possible level. 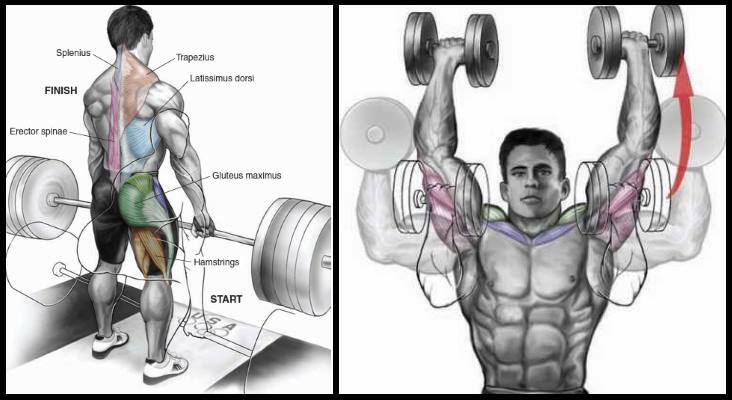 What is the barbell hip thrust? 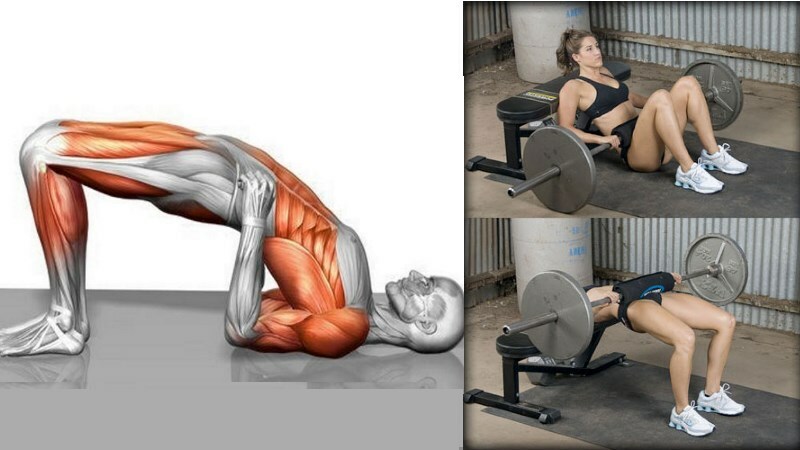 The hip thrust is an exercise designed to improve your strength and power by teaching your glutes to fire properly. We can safely assume that the barbell hip thrust is not the first thing that comes to your mind when you think about glute training – instead, you envision barbell deadlifts, squats, kickbacks and lunges, right? As efficient as these exercises are, they lack the ability to maximize hip extension, and that’s where the barbell hip thrust comes into play. This compound movement activates more muscle groups at the same time, keeps the glutes under constant tension and can help you optimize hip extension in a relatively short period of time. While most people believe that hip thrusts work great only for speeding up glute development, but that’s not the whole story. Increased fat burning – As you probably already know, compound movements are the best way to train if you’re looking to enhance your ability to burn fat. These exercises are very metabolically demanding and they significantly raise your heart rate, thereby increasing the number of calories burned during and after the workout. Reduced risk of injury – Training with poor form and inadequate technique often leads to injury. This is further enhanced by the fact that our glutes are weakened and deactivated as a result of our sedentary lifestyles, which ultimately means that they are more prone to training injury during than other big muscle groups. Having weak glutes also places too much unnecessary stress on the lower back, hips, knees and ankles. Additionally, since glute strength plays a critical role in the stabilization of the pelvis, hips, legs and torso during physical activities such as running, when the glutes aren’t firing like they should, the risk of painful injury dramatically increases for the whole posterior and anterior chain. Improved performance – The glutes are responsible for pulling the leg or extending the hip, so they’re able to generate a lot of power which then gets translated into explosive movements such as jumping, leaping or accelerating, which are often crucial for athletic performance. The hip thrust can help you increase both the strength and size of your glutes, resulting with an increased ability to generate force in these powerful muscles. There’s no denying that lower body posterior chain training is an absolute must for any serious athlete who relies on agility and explosive power, and moves such as the hip thrust can be the key to superior athletic performance. Corrected posture – Maintaining good posture is another important role of the glutes – without them, our hip flexors will become overly dominant and assert the pelvis into a tilted position. Weak glutes are one of the most important contributing factors of poor posture, while strong, activated glutes will assist you in maintaining a good posture at all times. As with any other exercise, it’s of vital importance that you practice correct form and technique when performing the barbell hip thrust. Without those two, your gains won’t be half as great as they could be and you also increase the risk of serious injury. There is a bench directly behind you. You’re not lifting your neck. Your feet are firmly planted on the floor. Both of your shoulders are placed on the bench. Position yourself on the floor with your shoulders against the bench. As you’re sitting on the gym floor, place the barbell directly over your hips, preferably with the addition of a barbell pad, yoga mat or something else that can greatly reduce the discomfort usually caused by this exercise. While exhaling, roll the bar vertically towards you so that it comes directly above your hips, then squeeze your glutes and explosively extend your hips, while leaning back against the bench. Make sure to keep your body aligned and spine neutral and drive through your heels (not toes!) to lift your hips and the barbell. Your weight should be supported by your shoulder blades and feet. Extend as far vertically as possible, then inhale and slowly return to the starting position by reversing the steps, with your core still braced.